The first three volumes in this series have been very popular, so you won’t want to miss this one. It is geared towards a wider audience, with images that older kids and adults will enjoy too. 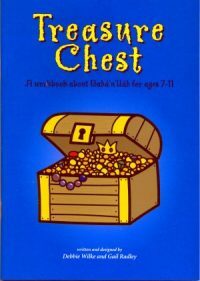 Here is a treasury of coloring pages, or as the author from Australia calls them “colouring pages” for children of a wide range of ages. Each one illustrates an inspiring Baha’i quotation. Give them to your kids or grandkids; use them for children’s classes and Feast activities. With over 100 images to color – some very simple, some very detailed – this book will provide many hours of activities. 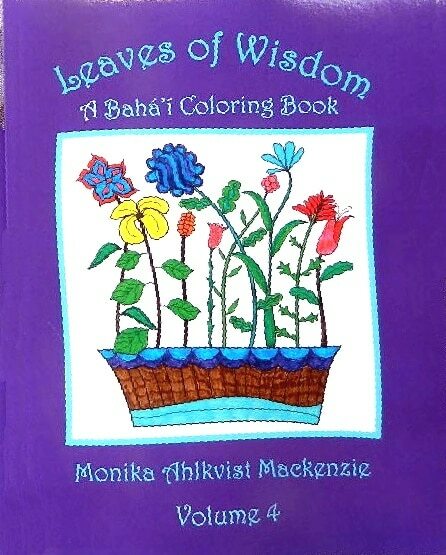 The quotations will also give you many opportunities for discussing Baha’i teachings as you color. 8.5×11″ 104 pages, published in Australia by Monika Mackenzie. Monika was born in Sweden, but soon moved to Australia. She is an artist and teacher. This is the third in the series.